Toyota SAS, System of Active Stability, is fitted as standard on each Toyota Traigo and Toyota Tonero. 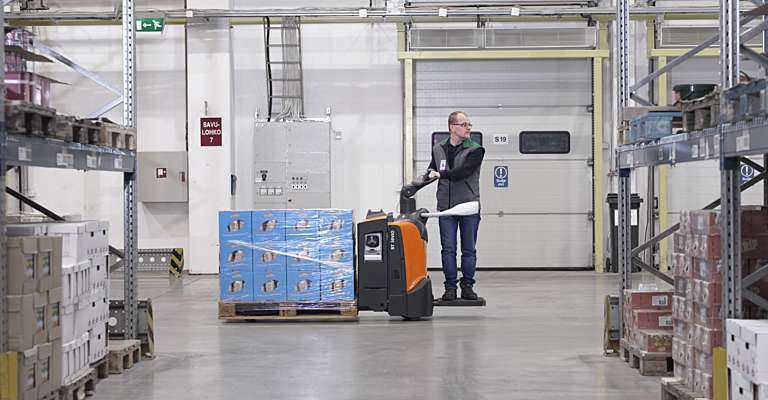 After 20 years it is still unique, protecting your goods, trucks and operators as well as maximising throughput while reducing operational cost. It just never gets old. 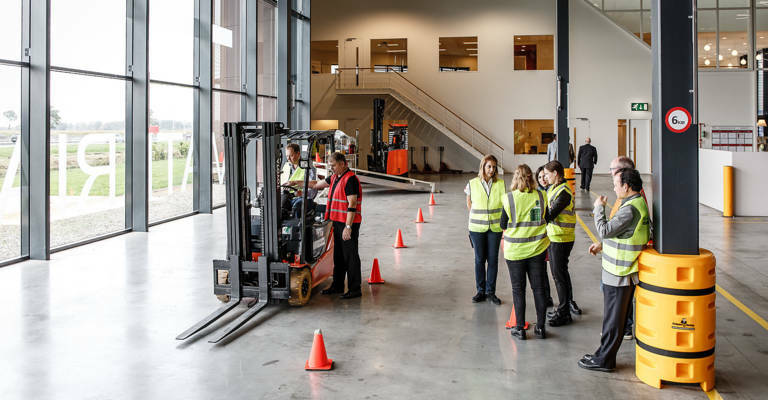 Stability, confidence and safety are all important aspects when handling goods. 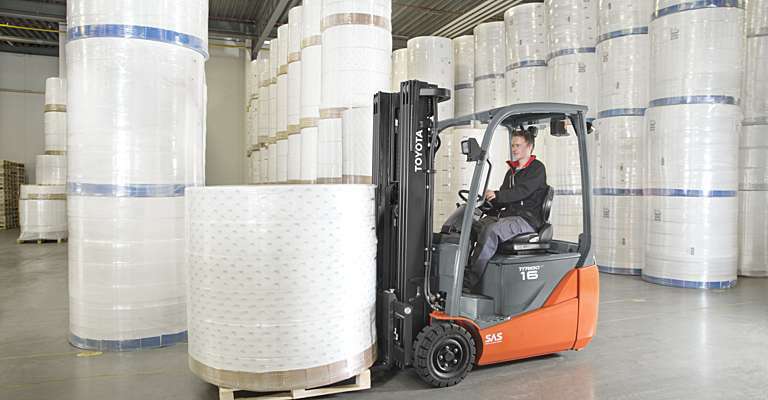 While operating a Toyota counterbalanced forklift truck, all driving and stacking actions feel stable and controlled as the SAS system acts before an unsafe operation occurs. 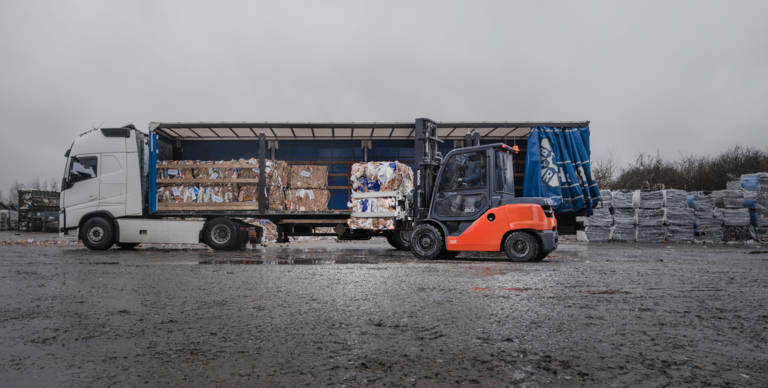 By actively monitoring key parameters of the truck’s performance, the risk of possible accidents is reduced and the amount of pallet movements is maximised. This allows operators to work with full confidence, keeping productivity high throughout a working day. It´s essential that the operator handles loads at height stress-free, without causing any damage to the property or load. This will result in more pallet movements and lower operational costs. The SAS Mast Control function not only monitors the load height and mast position, but also defines the optimised mast speed and angle for these parameters. Hereby mast sway will be minimised, allowing operators to store or retrieve pallets at height faster. Adjusting the forks into a horizontal position to pick up a pallet takes time. 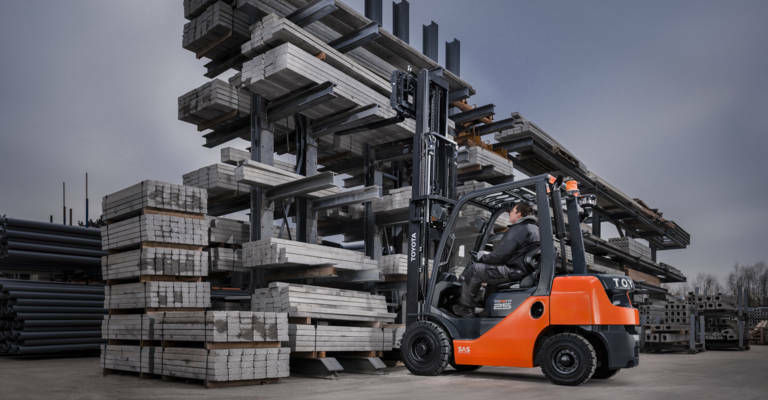 With SAS Fork Levelling Control, the forks are levelled at the push of a button, making this task quicker for the driver, for more efficient and productive load handling, especially at heights. In addition, fork levelling helps the operator to stack goods correctly and evenly, avoiding damage to goods and racking, reducing costs. When cornering without adjusting drive speed, there is an increased accident risk. Acting even faster than the most experienced driver, SAS helps to protect operators when taking a turn without compromising on productivity. The 4-wheel Traigo and Tonero models have the patented SAS Swing Lock Cylinder that gives unmatched lateral stability when cornering by automatically locking the rear axle swing movement. 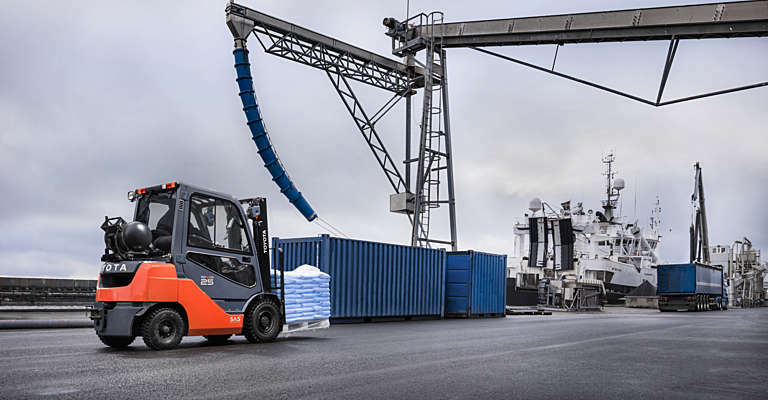 On the 3-wheel Traigo range, SAS optimises the driving speed when taking curves. This way, the truck stability always remains under control. Reducing physical strain on drivers by offering them a comfortable driving position will positively affect productivity and health. The SAS Steering Synchroniser automatically aligns the steering wheel knob with the position of the rear wheels. This alignment helps your drivers to have a more ergonomic driving position and manoeuvre the truck in the most efficient way for safe, productive operations. 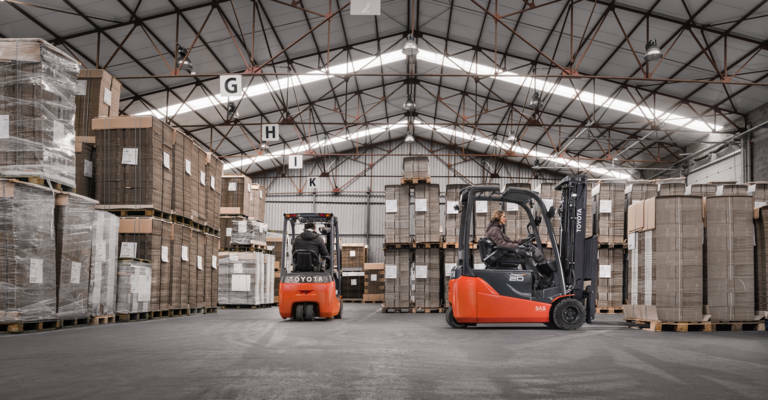 Furthermore, our 4-wheel range has a unique rear axle design with Swing Lock Cylinder, offering superior stability and driver comfort on all floor conditions.